I’m gonna whomp him with my hat! Dar she blows! For 19.99! Actually, he doesn’t look happy. The Skip looks like he’s yelling at Gilligan for something. 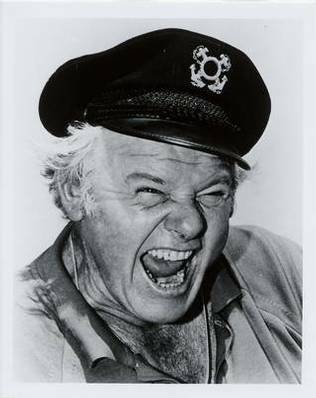 Turns out it was his father, Alan Hale Sr. who looks so much like his son they could be twins.